The Houston Academy Spelling Bee will take place after the Christmas Holidays on Tuesday January 14th. Please congratulate all of our classroom winners and encourage them to study over the Winter Holidays. Derrick Russaw, Mateo Garcia, Ashleeya Ashley, Jania Terry, Daniel Roa, Damon Darby, David Lopez and Thuy Vi (Madison) Tran from Menard's team. Hermione Vides, Cody Dixon, Kennedee Lavalias, and Gabrielle Whittaker from Ms. German's team. Journee Wesley, Presley Ferguson, Ashley Jones, and Alminny Reaux from Ms. Jones's team. 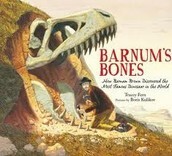 This month's Bluebonnet selection- Barnum's Bones. 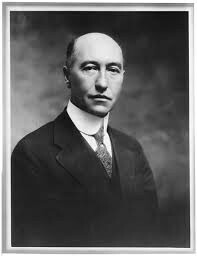 Barnum Brown (1873-1963) is the world's most famous paleontologists, and some say the greatest fossil collector of all time. 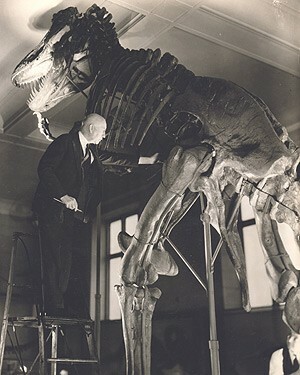 Barnum Brown and his most famous discovery. 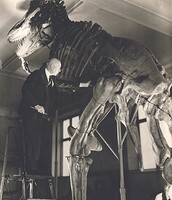 Barnum Brown uncovered the first documented Tyrannosaurus Rex in Montana in 1902. 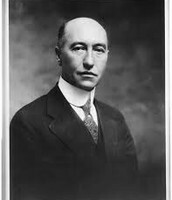 The Houston Academy History Fair will take place in the LMC December 18-20, 2013.